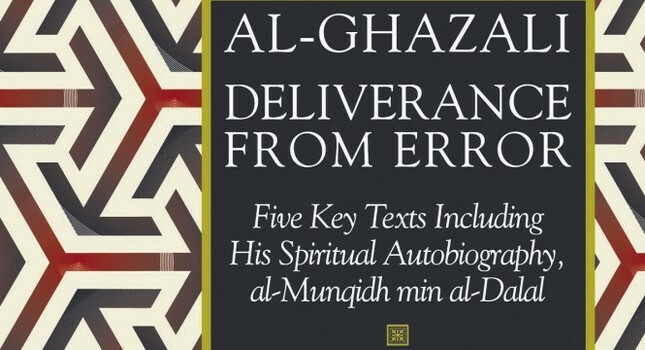 Al-Ghazali's autobiography, "al-Munqidh min al-Dalal" (The Deliverer from Error). Disenchanted with scholastic theology, Abu Hamid al-Ghazali passed through a philosophical crisis for about 10 years, at the end of which he would conclude that Sufism sticking to Islamic law should be considered mainstream Islam. This venture brought him many followers as well as many critics from among his peers, and his impact on Islamic thinking has been debated ever since. Some critics, including Western orientalists, have argued that Ghazali's thoughts imply a negative shift in Islamic thought, namely from rational sciences and philosophy to mysticism and blind tradition, while a majority of Muslims continue to consider the great Sufi as the defender of true Islam against outside effects. Abu Hamid Muhammad ibn Muhammad at-Tusi al-Ghazali was born in 1058 in Tus in what is now eastern Iran while it was under Seljuk reign. His family members were known for their inclination toward Sufism. His father died when he and his brother Ahmad were very young and so a Sufi friend began lecturing the brothers in Arabic, Persian and the Quran as a part of their father's heritage. When the money left by his deceased father ran out, Ghazali was sent to a madrasa where he received a free education and boarding. He learned advanced religious sciences there, including Islamic law, tafsir (hermeneutics of the Quran) and hadith before he moved first to Jorjan, and then to Nishapur to get more education from prominent teachers such as al-Juwayni, who died in 1085. After his master's death, Ghazali was invited to the court of Nizam al-Mulk, the legendary and most powerful Seljuk vizier. Ghazali acted as the court jurist for Mulk for six years. The young scholar impressed the great vizier, who appointed him as the head of the Nizamiyya Madrasa in Baghdad in 1091. Thus, Ghazali climbed to the top of the career of a Muslim scholar by the age of 33, which is quite young for such a position in any civilization in any century. Ghazali's years in Baghdad were brilliant for his career, although he was not calm at heart and steady in mind at all. He lectured more than 300 disciples, criticizing Islamic philosophers such as Ibn Sina and Farabi. He spent much time refuting philosophy, which he considered a non-precise way of obtaining true knowledge. His famous book, "Tahafut al-Filasafa" (The Incoherence of Philosophers) was born out of that period of time. Philosophically, Ghazali fought on three fronts. First, he fought against Greek philosophies and their followers in the Islamic world in the name of the pillars of Islam, the Quran and the sunnah. Second, he fought against opponent, esoteric streams as a Sunni scholar under the Seljuks in the Abbasid Caliphate. Third, he fought against mysticism in favor of Islamic law. Ghazali underwent a serious spiritual crisis in 1095. It was a violent time for politics because of the assassinations committed by the disciples of Hassan-i Sabbah. They killed both the Sultan Malik Shah and Vizier Nizam al-Mulk in 1092. Ghazali sought to return to Tus, his hometown to cleanse his soul from all effects from the horror of politics, scholarly disputes and perhaps the banalities of success and wealth. However, he could not do so to that easily since the Seljuk sultan might take it as a rebellion. He did not mean to start any kind of anarchy, as was anarchistic enough for him. Ghazali told officials that he wanted to visit Mecca on pilgrimage, and when he was permitted to go, he first visited Damascus and Jerusalem. In 1096, he visited Mecca and became a pilgrim before he found a way to return to his hometown. Meanwhile, he disposed all of his wealth and adopted the lifestyle of a Sufi. When he finally made it to Tus, Sufi disciples surrounded him to form a communal life. What makes his spiritual voyage so interesting is that he wrote every detail of it in his autobiography, al-Munqidh min al-Dalal" (The Deliverer from Error). Ghazali was not an ordinary Sufi leader. He came from a madrasa, which is the opposite of a Sufi lodge. He began writing a personal encyclopedia, later named "Ihya ulum al-Din" (The Revival of the Religious Sciences), during his long journey from Baghdad to Damascus and Jerusalem, and later from Mecca to Tus. This book is considered his most significant work because of its continuing affects on the Islamic thinking and practices. Sunni Muslims especially take it as the most important book written by a man since it explains everything, including the belief system, ethics and meaning of the prayers. The long book uses a theoretical argument supporting Sufism against theology and philosophy and is a practical guide for Muslims, as well. Ghazali returned to the madrasa for another four years upon an invitation from the new vizier, the son of Mulk. There he taught his new understanding at the highest educational institution. He returned to Tus in 1110, and died the following year. More than 400 books have been ascribed to Ghazali, but it is certain that he did not write all of the works associated with him. He wrote on such fields as Shariah, theology, Sufism, criticism of philosophy, Shiism and Christianity.